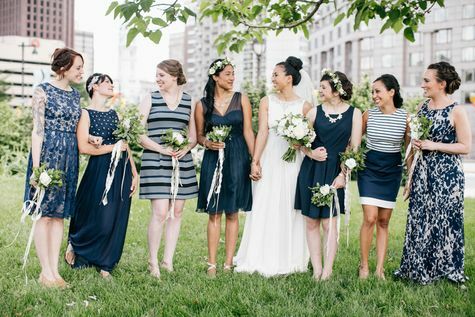 Why do patterned bridesmaid dresses rock? Because, who honestly wears that pink chiffon fluff ball any longer than possible? When it’s patterned, it plays. Who doesn’t love a floral maxi, or gold mini? When you and your maids are rocking dresses you love, everything sure to turn up roses.